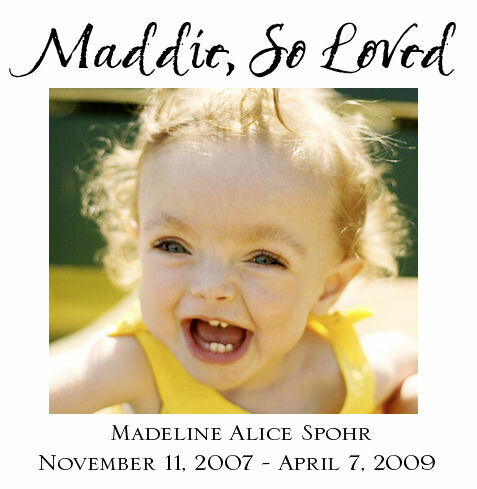 There was a moment, sitting in the uncomfortable pews of the historical church where we gathered to celebrate Maddie’s short life, that I thought to myself “I hope that if it’s ever Peyton, we’ll be able to say the same things Heather and Mike are saying”. I protect myself from funerals in a very bizarre way. Every funeral I’ve attended has had an element of it…I don’t think I’d want that many flowers…I thought that was a pretty casket…the verse they chose was perfect…I hated the theatrics….blah blah blah. I think it’s a way, and I kid you not, to separate myself from the reality of what’s happening around me. Criticize the grandmother’s dress, notice the dust on the window sills, make it about stupid trivial things, distract from the ripping pain of what is truly going on. But something about the words being spoken during this service wouldn’t allow me to do it. They didn’t speak of their grief and the heartbreak, although those are going to be day-by-day, hour-by-hour, second-by-second companions. They talked about being blessed with time, no matter how limited. They talked about the joy and laughter Maddie brought into their lives, and the lives around them, near and far. They spoke proudly of her accomplishments, not the things she would never get a chance to do. They shared her quirks, her charms and the shine of her personality. They gave us peeks into their quiet times with her, the gentle moments where nothing *special* was happening, just love being strengthened. Regrets weren’t a consideration, they knew with assurance that Maddie had lived the fullest life she could possibly have dreamed in the precious time she was given. I’ve thought often…perhaps too often…about Peyton’s fragile life. The past years have ripped away any naivete about the mortality of children. And I hope that if our circumstances change and we are standing in the shoes of Mike and Heather that we are able to honestly and with complete confidence know that we gave her the best life we could…that we let her just be herself and find the things that brought her happiness. I want to know that we laughed with our kids, that we challenged them, that they understood the depths of our love for them….that we never took for granted the gift that they are and never held back a bit of ourselves from them. I just want to know that we live so that we’ll have no regrets. I want to live like Maddie. HUGE thanks to Casey, Meghan, Tanis and Shannon for allowing me to have a shoulder to cry on, a hand to hold and inappropriate giggles at a time I needed them most. Love, always. Posted in: events and happenings, Mom memoirs, these people are our friends. ← And I came home for THIS? I know with your recent scare you know better than most….every moment is PRECIOUS…you just never know. I think you’re a great friend for going across the country to celebrate Maddie’s life and share in the joy her parents had while she was with them. Hugs…. I have one little 6 year old boy who is a great kid; my whole world. But before my sweet 6 year old son, there was one who didn’t make it. One that I didn’t even get the chance to know. I try and live everyday remembering there isn’t a guarantee of a tomorrow. It’s an important way to live. Your post really hit home with that. Maddie’s death was a huge reminder of how we need to live our lives. Andrea Neumans last blog post..Love is Love people… Love is Love! What a beautiful post. Thanks for sharing, Anissa, in a way that made me smile and cry at the same time.